Bright White Clearcoat 2019 Ram 1500 Tradesman RWD 8-Speed Automatic HEMI 5.7L V8 Multi Displacement VVT ABS brakes, Compass, Electronic Stability Control, Heated door mirrors, Illuminated entry, Low tire pressure warning, Remote keyless entry, Traction control. At Doug Henry of Kinston we make sure that your car buying process is simple and straight forward. All of our vehicles go through a multiple point inspection process. Have peace of mind knowing that your new car has had the oil changed and other items completed to pass NC State inspection. If you have credit issues, please call or drop by. We have credit specialists here every day whose only job is to get YOUR LOAN APPROVED. We get LOW beacon credit scores and up approved every day! We also offer the most competitive rates and terms for customers with good credit. We will also be glad to work with your credit union as well! All prices quoted before sales tax, tags, and 638 admin processing fee. Come get YOUR Doug Henry today! Proudly serving: Kinston, Goldsboro, Greenville, New Bern, Richlands, Jacksonville, La Grange, Winterville, Raleigh, and all surrounding areas. Diamond Black 2019 Ram 1500 Tradesman RWD 8-Speed Automatic HEMI 5.7L V8 Multi Displacement VVT At Doug Henry of Kinston we make sure that your car buying process is simple and straight forward. All of our vehicles go through a multiple point inspection process. Have peace of mind knowing that your new car has had the oil changed and other items completed to pass NC State inspection. If you have credit issues, please call or drop by. We have credit specialists here every day whose only job is to get YOUR LOAN APPROVED. We get LOW beacon credit scores and up approved every day! We also offer the most competitive rates and terms for customers with good credit. We will also be glad to work with your credit union as well! All prices quoted before sales tax, tags, and 638 admin processing fee. Come get YOUR Doug Henry today! Proudly serving: Kinston, Goldsboro, Greenville, New Bern, Richlands, Jacksonville, La Grange, Winterville, Raleigh, and all surrounding areas. Billet Silver Metallic 2019 Ram 1500 Tradesman RWD 8-Speed Automatic HEMI 5.7L V8 Multi Displacement VVT ABS brakes, Compass, Electronic Stability Control, Heated door mirrors, Illuminated entry, Low tire pressure warning, Remote keyless entry, Traction control. At Doug Henry of Kinston we make sure that your car buying process is simple and straight forward. All of our vehicles go through a multiple point inspection process. Have peace of mind knowing that your new car has had the oil changed and other items completed to pass NC State inspection. If you have credit issues, please call or drop by. We have credit specialists here every day whose only job is to get YOUR LOAN APPROVED. We get LOW beacon credit scores and up approved every day! We also offer the most competitive rates and terms for customers with good credit. We will also be glad to work with your credit union as well! All prices quoted before sales tax, tags, and 638 admin processing fee. Come get YOUR Doug Henry today! Proudly serving: Kinston, Goldsboro, Greenville, New Bern, Richlands, Jacksonville, La Grange, Winterville, Raleigh, and all surrounding areas. Bright White Clearcoat 2019 Ram 1500 Big Horn/Lone Star RWD 8-Speed Automatic HEMI 5.7L V8 Multi Displacement VVT ABS brakes, Compass, Electronic Stability Control, Heated door mirrors, Illuminated entry, Low tire pressure warning, Remote keyless entry, Traction control. At Doug Henry of Kinston we make sure that your car buying process is simple and straight forward. All of our vehicles go through a multiple point inspection process. Have peace of mind knowing that your new car has had the oil changed and other items completed to pass NC State inspection. If you have credit issues, please call or drop by. We have credit specialists here every day whose only job is to get YOUR LOAN APPROVED. We get LOW beacon credit scores and up approved every day! We also offer the most competitive rates and terms for customers with good credit. We will also be glad to work with your credit union as well! All prices quoted before sales tax, tags, and 638 admin processing fee. Come get YOUR Doug Henry today! Proudly serving: Kinston, Goldsboro, Greenville, New Bern, Richlands, Jacksonville, La Grange, Winterville, Raleigh, and all surrounding areas. Billet Silver Metallic 2019 Ram 1500 Big Horn/Lone Star RWD 8-Speed Automatic HEMI 5.7L V8 Multi Displacement VVT ABS brakes, Compass, Electronic Stability Control, Heated door mirrors, Illuminated entry, Low tire pressure warning, Remote keyless entry, Traction control. At Doug Henry of Kinston we make sure that your car buying process is simple and straight forward. All of our vehicles go through a multiple point inspection process. Have peace of mind knowing that your new car has had the oil changed and other items completed to pass NC State inspection. If you have credit issues, please call or drop by. We have credit specialists here every day whose only job is to get YOUR LOAN APPROVED. We get LOW beacon credit scores and up approved every day! We also offer the most competitive rates and terms for customers with good credit. We will also be glad to work with your credit union as well! All prices quoted before sales tax, tags, and 638 admin processing fee. Come get YOUR Doug Henry today! Proudly serving: Kinston, Goldsboro, Greenville, New Bern, Richlands, Jacksonville, La Grange, Winterville, Raleigh, and all surrounding areas. Crystal Metallic 2019 Ram 1500 Big Horn/Lone Star RWD 8-Speed Automatic HEMI 5.7L V8 Multi Displacement VVT ABS brakes, Compass, Electronic Stability Control, Heated door mirrors, Illuminated entry, Low tire pressure warning, Remote keyless entry, Traction control. At Doug Henry of Kinston we make sure that your car buying process is simple and straight forward. All of our vehicles go through a multiple point inspection process. Have peace of mind knowing that your new car has had the oil changed and other items completed to pass NC State inspection. If you have credit issues, please call or drop by. We have credit specialists here every day whose only job is to get YOUR LOAN APPROVED. We get LOW beacon credit scores and up approved every day! We also offer the most competitive rates and terms for customers with good credit. We will also be glad to work with your credit union as well! All prices quoted before sales tax, tags, and 638 admin processing fee. Come get YOUR Doug Henry today! Proudly serving: Kinston, Goldsboro, Greenville, New Bern, Richlands, Jacksonville, La Grange, Winterville, Raleigh, and all surrounding areas. Patriot Blue Pearlcoat 2019 Ram 1500 Big Horn/Lone Star 4WD 8-Speed Automatic HEMI 5.7L V8 Multi Displacement VVT ABS brakes, Compass, Electronic Stability Control, Heated door mirrors, Illuminated entry, Low tire pressure warning, Remote keyless entry, Traction control. At Doug Henry of Kinston we make sure that your car buying process is simple and straight forward. All of our vehicles go through a multiple point inspection process. Have peace of mind knowing that your new car has had the oil changed and other items completed to pass NC State inspection. If you have credit issues, please call or drop by. We have credit specialists here every day whose only job is to get YOUR LOAN APPROVED. We get LOW beacon credit scores and up approved every day! We also offer the most competitive rates and terms for customers with good credit. We will also be glad to work with your credit union as well! All prices quoted before sales tax, tags, and 638 admin processing fee. Come get YOUR Doug Henry today! Proudly serving: Kinston, Goldsboro, Greenville, New Bern, Richlands, Jacksonville, La Grange, Winterville, Raleigh, and all surrounding areas. Steel Metallic 2019 Ram 1500 Big Horn/Lone Star 4WD 8-Speed Automatic HEMI 5.7L V8 Multi Displacement VVT HEMI 5.7L V8 Multi Displacement VVT. At Doug Henry of Kinston we make sure that your car buying process is simple and straight forward. All of our vehicles go through a multiple point inspection process. Have peace of mind knowing that your new car has had the oil changed and other items completed to pass NC State inspection. If you have credit issues, please call or drop by. We have credit specialists here every day whose only job is to get YOUR LOAN APPROVED. We get LOW beacon credit scores and up approved every day! We also offer the most competitive rates and terms for customers with good credit. We will also be glad to work with your credit union as well! All prices quoted before sales tax, tags, and 638 admin processing fee. 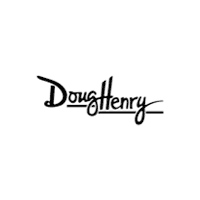 Come get YOUR Doug Henry today! Proudly serving: Kinston, Goldsboro, Greenville, New Bern, Richlands, Jacksonville, La Grange, Winterville, Raleigh, and all surrounding areas. Diamond Black 2019 Ram 1500 Big Horn/Lone Star 4WD 8-Speed Automatic HEMI 5.7L V8 Multi Displacement VVT eTorque ABS brakes, Compass, Electronic Stability Control, Heated door mirrors, Illuminated entry, Low tire pressure warning, Remote keyless entry, Traction control. At Doug Henry of Kinston we make sure that your car buying process is simple and straight forward. All of our vehicles go through a multiple point inspection process. Have peace of mind knowing that your new car has had the oil changed and other items completed to pass NC State inspection. If you have credit issues, please call or drop by. We have credit specialists here every day whose only job is to get YOUR LOAN APPROVED. We get LOW beacon credit scores and up approved every day! We also offer the most competitive rates and terms for customers with good credit. We will also be glad to work with your credit union as well! All prices quoted before sales tax, tags, and 638 admin processing fee. Come get YOUR Doug Henry today! Proudly serving: Kinston, Goldsboro, Greenville, New Bern, Richlands, Jacksonville, La Grange, Winterville, Raleigh, and all surrounding areas. Bright White Clearcoat 2019 Ram 1500 Big Horn/Lone Star 4WD 8-Speed Automatic HEMI 5.7L V8 Multi Displacement VVT ABS brakes, Compass, Electronic Stability Control, Heated door mirrors, Illuminated entry, Low tire pressure warning, Remote keyless entry, Traction control. At Doug Henry of Kinston we make sure that your car buying process is simple and straight forward. All of our vehicles go through a multiple point inspection process. Have peace of mind knowing that your new car has had the oil changed and other items completed to pass NC State inspection. If you have credit issues, please call or drop by. We have credit specialists here every day whose only job is to get YOUR LOAN APPROVED. We get LOW beacon credit scores and up approved every day! We also offer the most competitive rates and terms for customers with good credit. We will also be glad to work with your credit union as well! All prices quoted before sales tax, tags, and 638 admin processing fee. Come get YOUR Doug Henry today! Proudly serving: Kinston, Goldsboro, Greenville, New Bern, Richlands, Jacksonville, La Grange, Winterville, Raleigh, and all surrounding areas. Diamond Black 2019 Ram 1500 Big Horn/Lone Star 4WD 8-Speed Automatic HEMI 5.7L V8 Multi Displacement VVT ABS brakes, Compass, Electronic Stability Control, Heated door mirrors, Illuminated entry, Low tire pressure warning, Remote keyless entry, Traction control. At Doug Henry of Kinston we make sure that your car buying process is simple and straight forward. All of our vehicles go through a multiple point inspection process. Have peace of mind knowing that your new car has had the oil changed and other items completed to pass NC State inspection. If you have credit issues, please call or drop by. We have credit specialists here every day whose only job is to get YOUR LOAN APPROVED. We get LOW beacon credit scores and up approved every day! We also offer the most competitive rates and terms for customers with good credit. We will also be glad to work with your credit union as well! All prices quoted before sales tax, tags, and 638 admin processing fee. Come get YOUR Doug Henry today! Proudly serving: Kinston, Goldsboro, Greenville, New Bern, Richlands, Jacksonville, La Grange, Winterville, Raleigh, and all surrounding areas. Billet Silver Metallic 2019 Ram 1500 Big Horn/Lone Star 4WD 8-Speed Automatic HEMI 5.7L V8 Multi Displacement VVT ABS brakes, Alloy wheels, Compass, Electronic Stability Control, Heated door mirrors, Illuminated entry, Low tire pressure warning, Remote keyless entry, Traction control. At Doug Henry of Kinston we make sure that your car buying process is simple and straight forward. All of our vehicles go through a multiple point inspection process. Have peace of mind knowing that your new car has had the oil changed and other items completed to pass NC State inspection. If you have credit issues, please call or drop by. We have credit specialists here every day whose only job is to get YOUR LOAN APPROVED. We get LOW beacon credit scores and up approved every day! We also offer the most competitive rates and terms for customers with good credit. We will also be glad to work with your credit union as well! All prices quoted before sales tax, tags, and 638 admin processing fee. Come get YOUR Doug Henry today! Proudly serving: Kinston, Goldsboro, Greenville, New Bern, Richlands, Jacksonville, La Grange, Winterville, Raleigh, and all surrounding areas. Red 2019 Ram 1500 Laramie 4WD 8-Speed Automatic HEMI 5.7L V8 Multi Displacement VVT At Doug Henry of Kinston we make sure that your car buying process is simple and straight forward. All of our vehicles go through a multiple point inspection process. Have peace of mind knowing that your new car has had the oil changed and other items completed to pass NC State inspection. If you have credit issues, please call or drop by. We have credit specialists here every day whose only job is to get YOUR LOAN APPROVED. We get LOW beacon credit scores and up approved every day! We also offer the most competitive rates and terms for customers with good credit. We will also be glad to work with your credit union as well! All prices quoted before sales tax, tags, and 638 admin processing fee. Come get YOUR Doug Henry today! Proudly serving: Kinston, Goldsboro, Greenville, New Bern, Richlands, Jacksonville, La Grange, Winterville, Raleigh, and all surrounding areas. Delmonico 2019 Ram 1500 Limited 4WD 8-Speed Automatic 3.6L V6 24V VVT 3.6L V6 24V VVT. At Doug Henry of Kinston we make sure that your car buying process is simple and straight forward. All of our vehicles go through a multiple point inspection process. Have peace of mind knowing that your new car has had the oil changed and other items completed to pass NC State inspection. If you have credit issues, please call or drop by. We have credit specialists here every day whose only job is to get YOUR LOAN APPROVED. We get LOW beacon credit scores and up approved every day! We also offer the most competitive rates and terms for customers with good credit. We will also be glad to work with your credit union as well! All prices quoted before sales tax, tags, and 638 admin processing fee. Come get YOUR Doug Henry today! Proudly serving: Kinston, Goldsboro, Greenville, New Bern, Richlands, Jacksonville, La Grange, Winterville, Raleigh, and all surrounding areas. Ivory 2019 Ram 1500 Limited 4WD 8-Speed Automatic HEMI 5.7L V8 Multi Displacement VVT At Doug Henry of Kinston we make sure that your car buying process is simple and straight forward. All of our vehicles go through a multiple point inspection process. Have peace of mind knowing that your new car has had the oil changed and other items completed to pass NC State inspection. If you have credit issues, please call or drop by. We have credit specialists here every day whose only job is to get YOUR LOAN APPROVED. We get LOW beacon credit scores and up approved every day! We also offer the most competitive rates and terms for customers with good credit. We will also be glad to work with your credit union as well! All prices quoted before sales tax, tags, and 638 admin processing fee. Come get YOUR Doug Henry today! Proudly serving: Kinston, Goldsboro, Greenville, New Bern, Richlands, Jacksonville, La Grange, Winterville, Raleigh, and all surrounding areas. Diamond Black 2019 Ram 1500 Laramie Longhorn 4WD 8-Speed Automatic HEMI 5.7L V8 Multi Displacement VVT At Doug Henry of Kinston we make sure that your car buying process is simple and straight forward. All of our vehicles go through a multiple point inspection process. Have peace of mind knowing that your new car has had the oil changed and other items completed to pass NC State inspection. If you have credit issues, please call or drop by. We have credit specialists here every day whose only job is to get YOUR LOAN APPROVED. We get LOW beacon credit scores and up approved every day! We also offer the most competitive rates and terms for customers with good credit. We will also be glad to work with your credit union as well! All prices quoted before sales tax, tags, and 638 admin processing fee. Come get YOUR Doug Henry today! Proudly serving: Kinston, Goldsboro, Greenville, New Bern, Richlands, Jacksonville, La Grange, Winterville, Raleigh, and all surrounding areas.